PID #62 WELCOME TO SHADY LAKE COTTAGE! The Perfect Cottage in Lake Harmony! Featuring a spectacular location and view of the Lake, 2 Bedrooms, 1 Bath. Whether you are here for summer time fun or a winter getaway, no need to look any further. 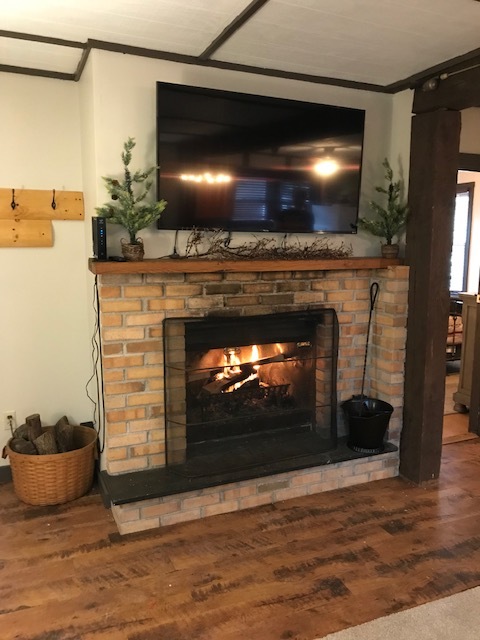 Located in the heart of Lake Harmony and is near major Pocono Attractions such as Skiing (1 Mile to Big Boulder), NASCAR, Hiking, Casinos, Historic Jim Thorpe, Whitewater Rafting, Skirmish, Horseback Riding, Shopping, etc. Please inquire for actual rates! This home does not have a working phone. Don't forget your cell phones. Our homes are supplied with dishes, cookware, pillows and blankets. PLEASE BRING towels, dish towels, linens and paper products. Linen service available upon request and additional fee. This home accomodates 6-8 people. Please do not exceed this number. Please Make Yourself Familiar with The Rules and Operation of Your Home, And with The Rules of the Community. Please Do Not Bring Pets: For health reasons we are unable to allow them in our homes. This is a non-smoking home. Smoking in this home will result in forfeiture of security deposit. Please observe your check-out time of 12:00 pm. If there is a problem, call our office immediately or you may be charged with an extra day. This home is located near many main Pocono attractions such as skiing, hiking, shopping, etc. Must Be 25 Years of Age, Leasing Agreement and Final Payment need to be completed 30 Days prior to check in date but not limited too.Check in at Mary Enck Realty to pick up Rental Package. Check in time is 4:00 pm, check out time is 12:00pm. Late arrivals please contact MER for instructions. © 2015 by Plum Systems, Inc.